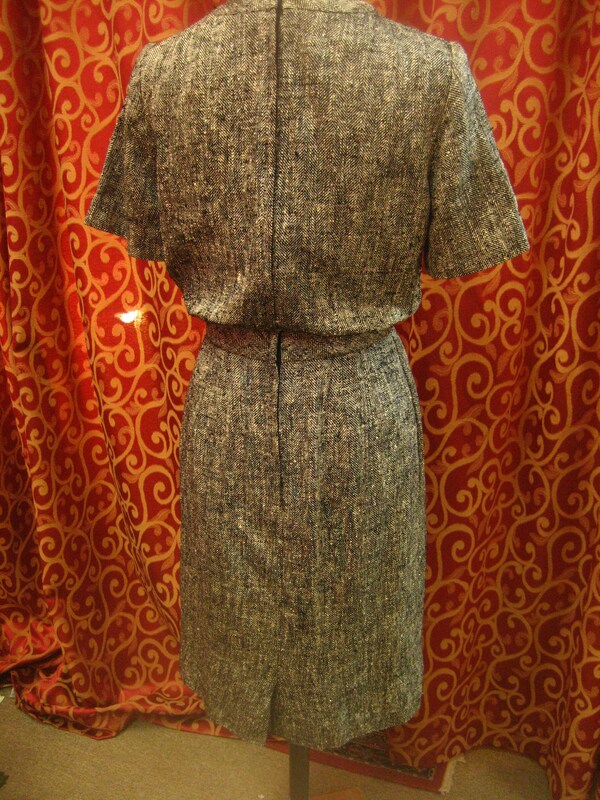 1960's, 36" bust, gray, black, and white herringbone cotton tweed dress. 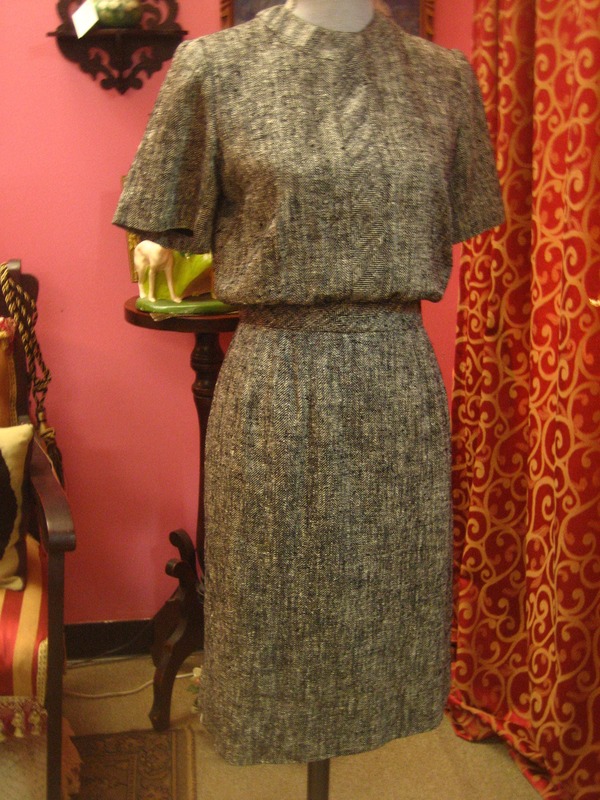 Top of dress has short sleeves, round collarless neckline and somewhat loose shape over a slim skirt, with narrow waistband. Dress is fastened in back with long zipper from back of neck to hips. Label reads, "House of Lords" original.